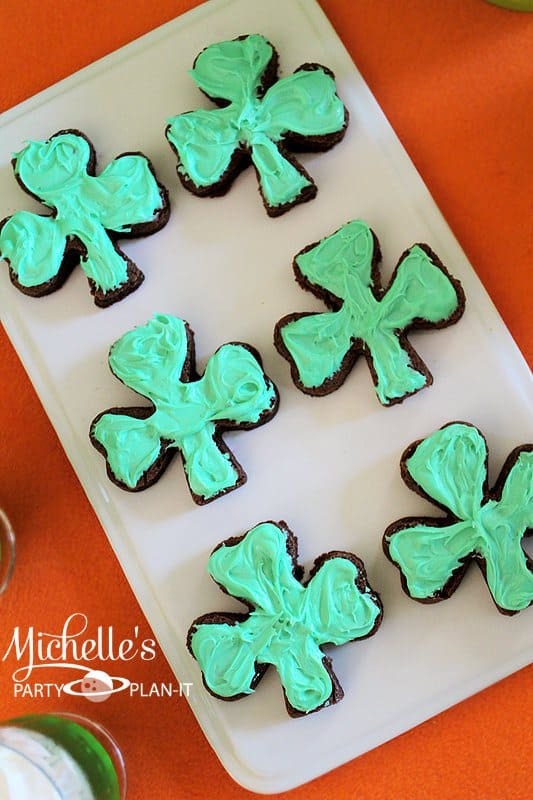 This Shamrock Brownies post is courtesy of our contributor Michelle…My little family celebrates St. Patrick’s Day every year with friends and family. I make traditional corned beef, cabbage and potatoes for all to enjoy. I also like to set up a small dessert table with lots of St. Patrick’s Day sweeties. Brownies are always a big hit at my parties and for some reason everything tastes even better when in a cute shape! In a medium mixing bowl, combine Nutella, eggs and flour. Mix well. Pour batter in a shallow baking pan or cookie sheet. Bake for 25-30 minutes, until center is baked through. Let cool. Once cooled, cut the brownies using a Shamrock cookie cutter. To make your green icing, add a few drops of food coloring to your favorite icing and mix. Lastly, frost the brownies, serve and enjoy! With St. Patrick’s Day quickly approaching these Shamrock brownies are sure to be a crowd pleaser. Perfect for classroom parties! 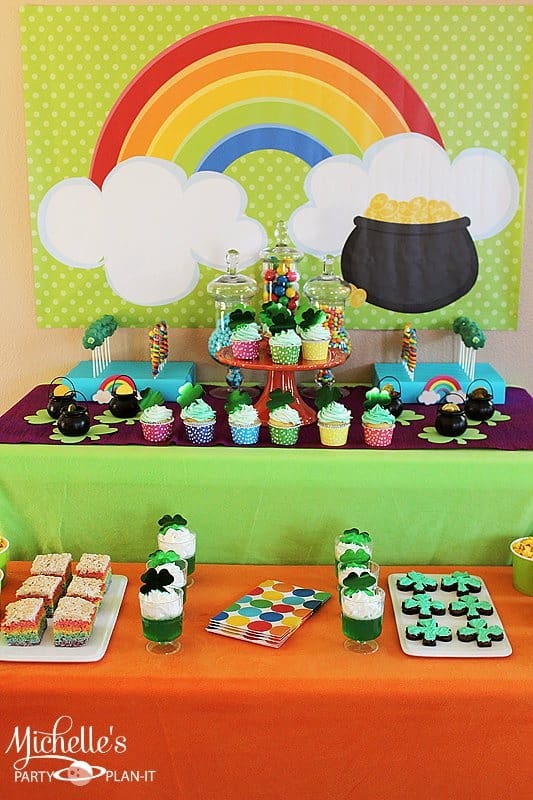 Looking for some more St. Patrick’s Day party ideas? Check out my past St. Patrick Day Parties for inspiration and be sure to download my Free St. Patrick’s Day Party Hat printable! We’d like to give a big Thank You to Michelle for sharing this recipe with us. Michelle is the genius behind Michelle’s Party Plan-It – a blog filled with amazing party planning ideas and inspiration. She has so much detail in each of her parties and walks you through the steps of many of these creations. Follow along on her social media accounts for even more creative ideas! You can find her on Facebook, Twitter & Pinterest.